The ultimate defender! 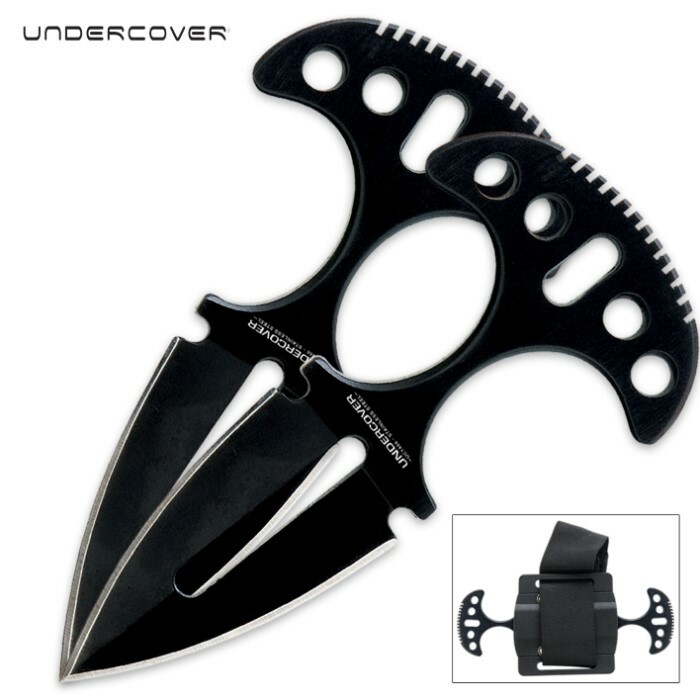 Features two double edge push daggers. Each is constructed from solid 420 J2 stainless steel. 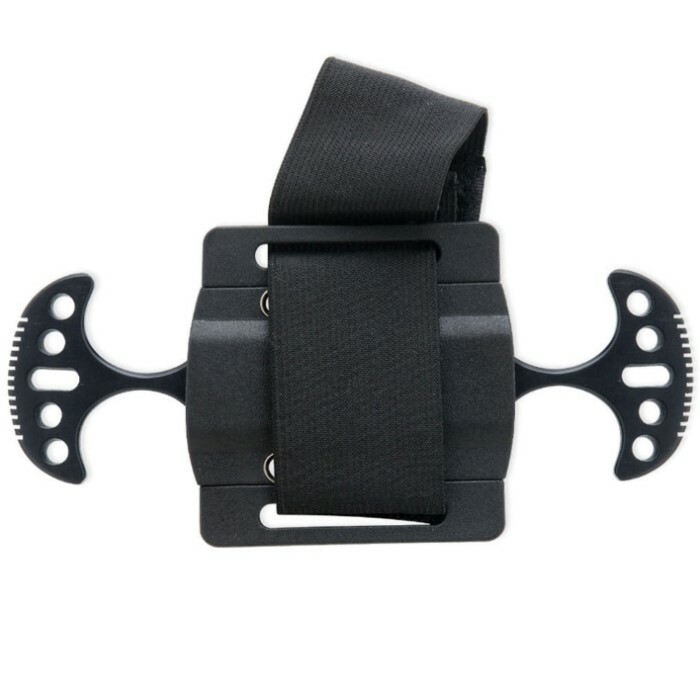 Includes adjustable impact resistant sheath with nylon arm/leg strap with Velcro closure. 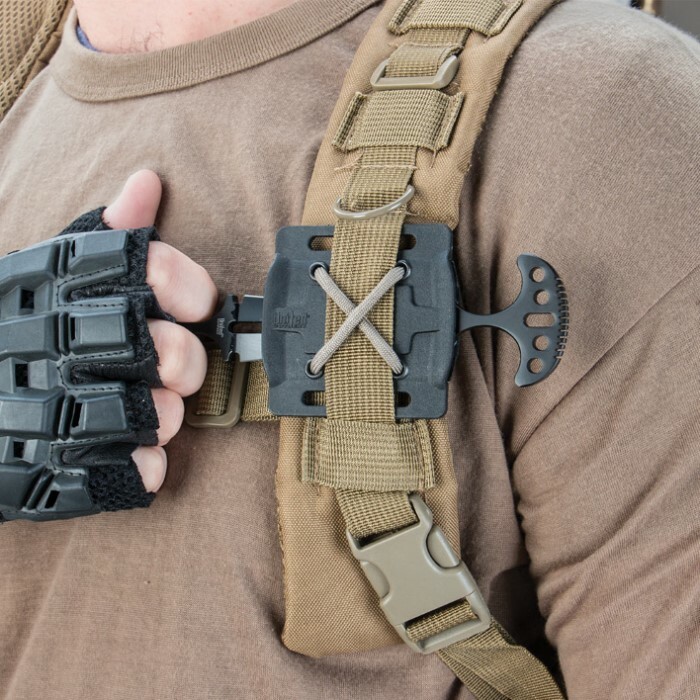 I love how you can wear it on your forearm, lower leg, or even attach it to gear if you prefer. I was looking for a double push dagger to put on my belt for a long time now. I saw 1 made in Russia that is also a belt buckle but it cost $150 not including shipping :/ When I saw this i was like it is a steal for $10. It is $5 dollar a blade with free sheath. I took it with me for couble of days and sometimes one will fall out. That is why I gave it 4 stars. Making a Kydex sheath for it. $10=bad knives? wrong these are some of my favorite push daggers! i admit they are smaller than i was hoping but other than that they are totally worth buying!!! These are some great blades. They came sharp but i did sharpen them a bit more. These are my second purchase from the site and it wont be the last! One of the Daggers did fall out of the sheath. But I tightened it with some cord. Works great now. Overall for.the price can't beat it. These are nice little knives......good and sharp right out of the box. The set set I got, one of the knives would just fall out of the sheath. A rapidly responded email to customer got another set on the way.....they hold great. Kudos to customer service, by the way, for resolving my problem so quickly. We'll do business again.